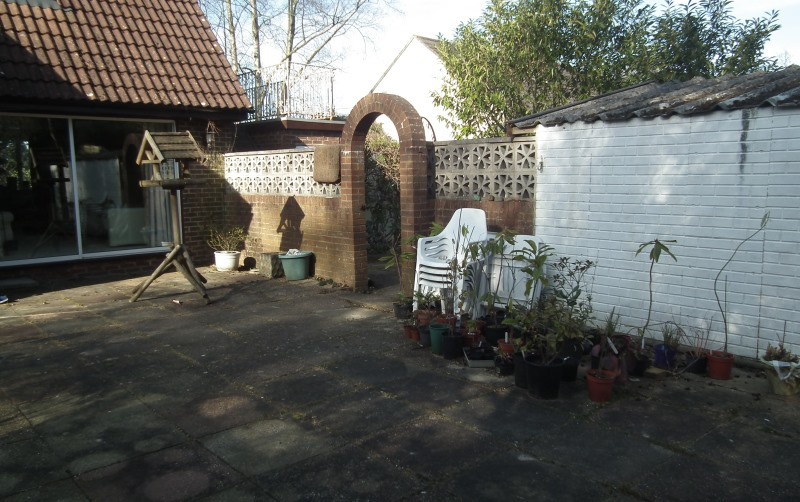 A dark and unattractive patio garden area was in need of a transformation. 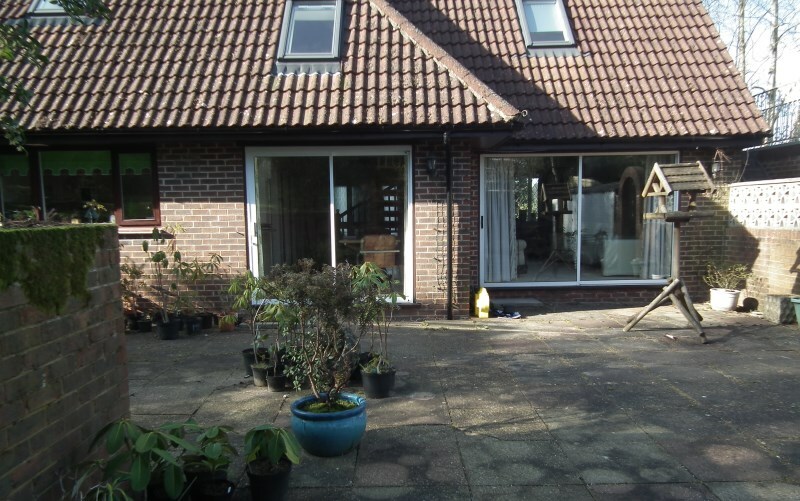 My client had recently moved into her property, which was being renovated when we met. A large collection of Rhododendrons, Camellias and Magnolias had been inherited from her late husband. 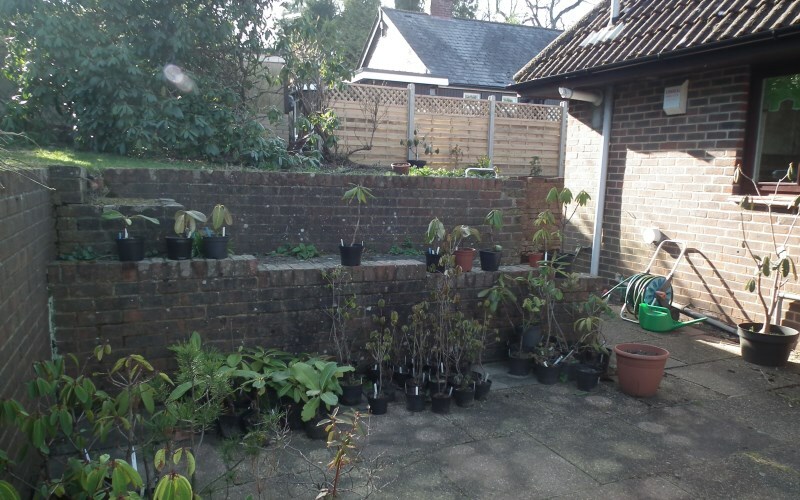 The property had been chosen for its large space and suitable soil. The collection was large, many of which were tender and needed winter protection. I was commissioned to create a landscape plan for new beds and borders with roses and perennial planting which would compliment the Rhododendrons and Camellias and give colour in the summer and Autumn once the main flowering season of the collection had finished. I designed borders that flowed around the garden, linking the exiting island beds that had no connection to one another. 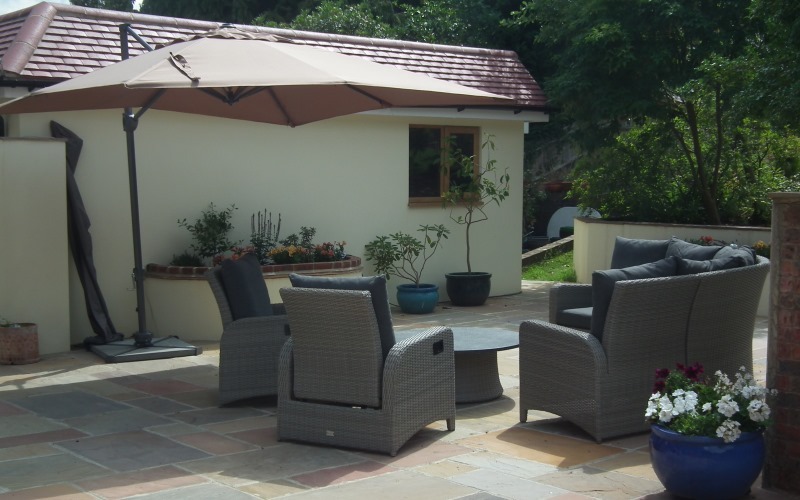 The planting was to be completed over a number of years by the Client and the clients own gardeners, so that the garden could slowly evolve. 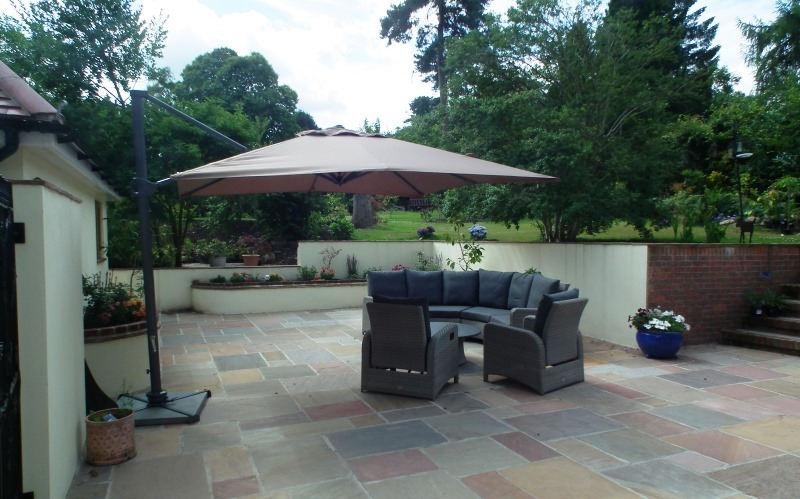 Of more urgent attention was the patio transformation. 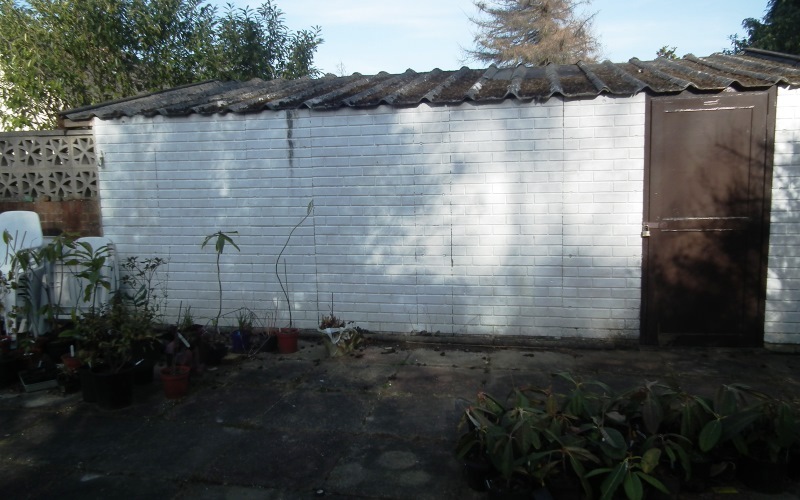 Concrete slabs and dark brick walls in need of attention, as well as some crumbling brick steps cut the house off from the rest of the garden. 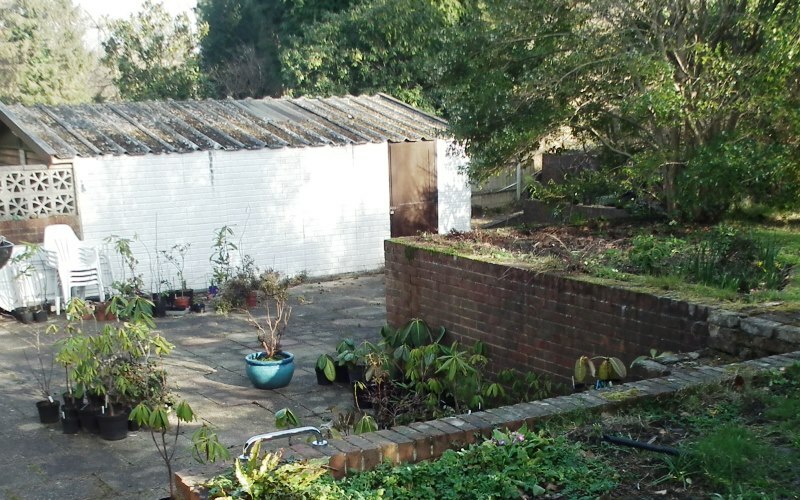 The property was on sloping ground with the garden at over a meter above the patio. 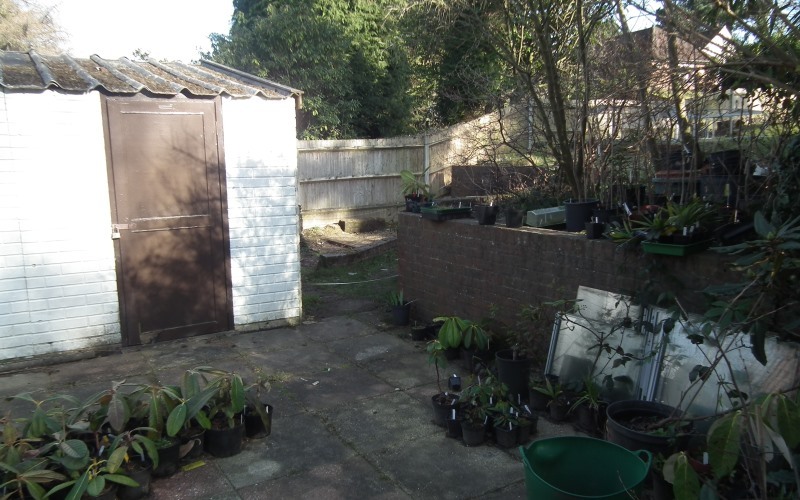 Instead of a the eye being drawn into the garden above, the house felt enclosed by walls and the garden beyond was cut off further by large shrubs.There was also a large number of pots containing part of the collection that needed to be catalogued and either planted or sold. The overall effect was not inviting. 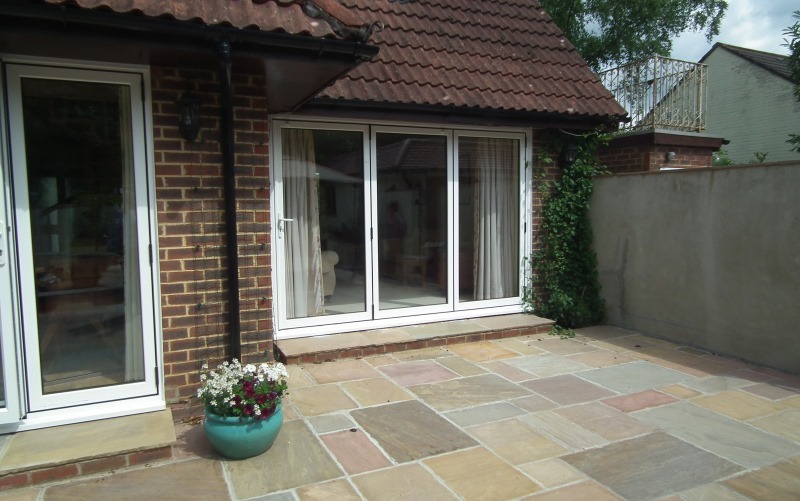 My client already had some ideas of brightening up the patio garden area with more contemporary rendered walls. 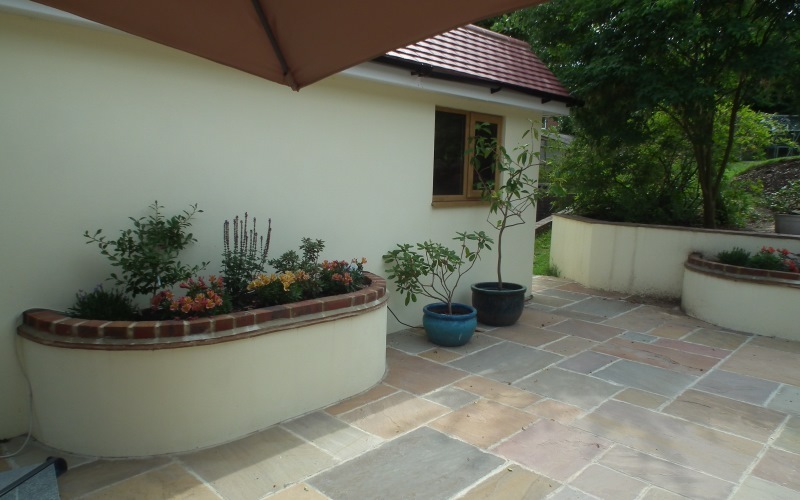 We agreed to put in some raised beds along some of the walls to bring life and colour into the patio area, the garage was being rebuilt along with a special potting shed and gardeners room. Along with a new wall next to the driveway, with a bespoke iron gate. 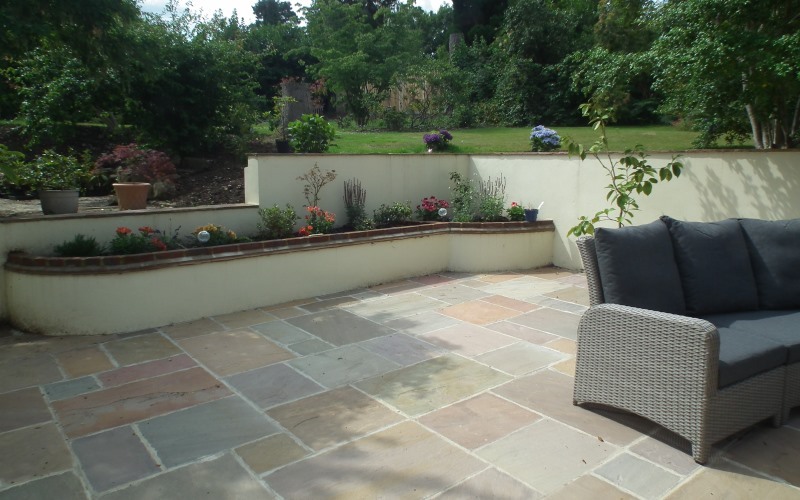 Mixed coloured Sandstone paving was chosen to compliment the house bricks and the rendered walls painting in a soft yellow capped with sandstone. 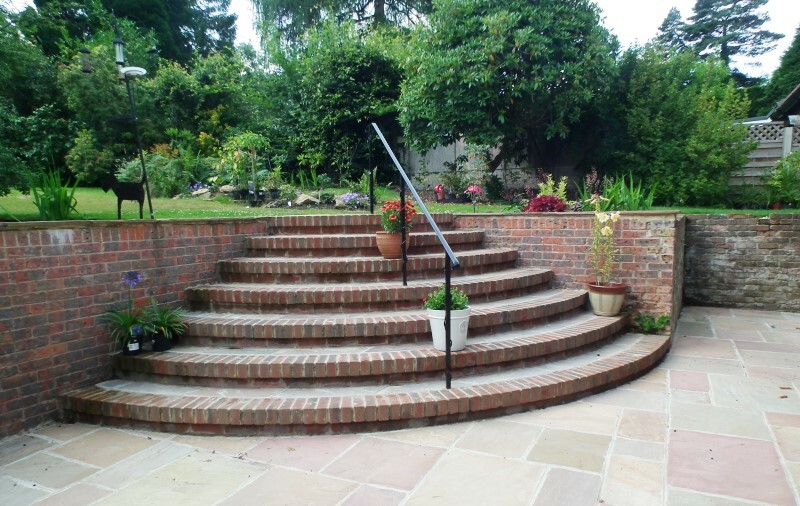 The narrow crumbling steps up to the garden were replaced with wide curved steps with a handrail, inviting you into the garden. 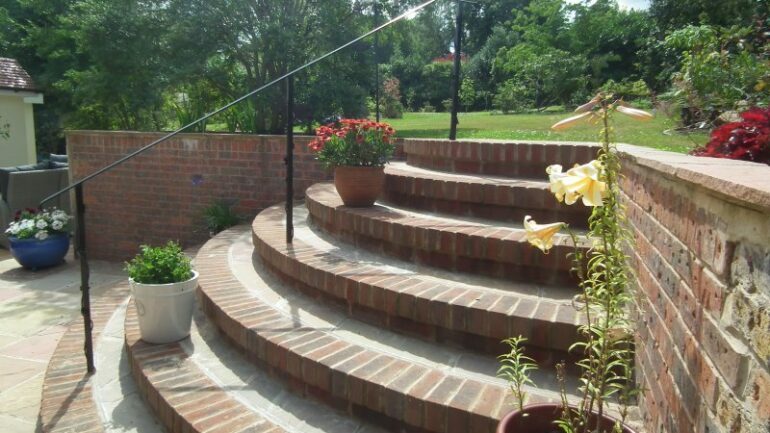 The width of the steps allows tender potted plants to be placed there over the summer months giving a colourful display to view from the kitchen window.